Prelims Trend Analysis – History and Culture | How To Prepare? History And Culture (GS) – How To Prepare? History is the study of the past. 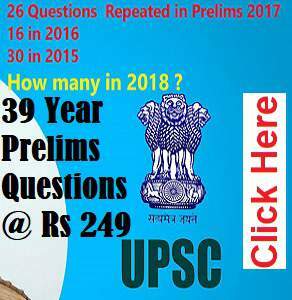 In Civil Services Prelims 2017, it can determine your future. A glance of the trends in the overall analysis of GS papers over the last four years tells us that ‘History and Culture’ has been the most consistent section in comparison. So ignoring this can only be in one’s own peril. It is a given that history is vast and reading every detail might not actually be feasible. Here comes the necessity to go for smart reading by picking and choosing areas of study based on trends. Over the years, it has been Ancient/ Medieval India with a tilt towards culture that has been dominating History in the Prelims with 2015 being a mild aberration. Modern India, mainly dominated by Freedom Struggle, though with fewer questions, has given a steady supply of marks. How to deal with Ancient and Medieval India? As you read that, pages and pages of Old NCERT Books will flash before you. Wait, that will not be the kind of image you need to have. 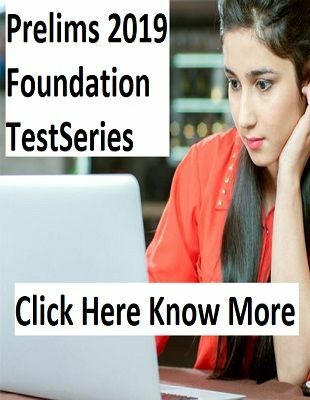 Go through previous years’ UPSC papers and various culture related questions from Prelims Mock Tests. You can choose to have a bit of experimentation here by creating a flow chart or a table for easy classification of these headings. For example, if you are reading Architecture and you classify various historic structures into groups based on their time period, purpose of existence, material used, religious affiliation and their unique feature, the question related to Ajanta and Mahabalipuram in UPSC Prelims 2016 could have been easily answered. Another trend noticed is the mixture of Geography with History. Associating historic places with their modern region or logical questions based on them have appeared. The question on places that Buddha visited was present both in Prelims 2014 and 2015. Conventional areas like Indian Philosophy system, Buddhism and Jainism, Bhakti and Sufi Movements are opportunities that one should grab with both hands. A fair and general idea of various regional art forms is needed. If you are reading on Kalamkari art, what one requires to know is that it is based in Andhra Pradesh and it is a hand-painted cotton textile. Special emphasis can be placed on topics that have been in news recently. How to deal with Modern India? This will perhaps be the most likable part for the majority of the UPSC aspirants. When something looks like a story that can easily be remembered, it has to be your favorite scoring area. Read all the statutes, proclamations and acts. All the four years have seen at least one question in these areas, for example, Queen Victoria Proclamation in Prelims 2014 and Government of India Act, 1919 in Prelims 2015. Take a strong note of landmark events and their significance. Questions related to ‘Partition of Bengal’ and the ‘Purna Swaraj’ Resolution have appeared over the years. Social reform movements along with famous reformers is another area which you can expect to see in your UPSC Prelims paper. The last few pages of the Shankar IAS Academy Modern India Book has a timeline of significant events and contributions of various personalities to Freedom Struggle. That may help in quick revision. We are throwing you only a lifeline. It is your choice to decide whether you will want to grab it or let it pass by you. Make the right decisions and you will be on the boat to appear in Civil Services Mains, 2017.